It’s been quite a long while since I shared with you a beauty subscription box, hasn’t it? I stopped reviewing boxes not only because I felt like they were taking over my content, but I was also less and less impressed with what came inside. However, I recently started receiving Beauty Box 5 again and have been “screening” them to see if they’re worth sharing once more. In case you’re unfamiliar, or just to refresh your memory, Beauty Box 5 is only $12 a month and sends five products with a common theme. 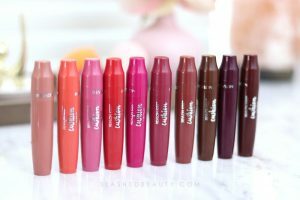 It seems that in the past few years they’ve focused on promoting more indie or below-the-radar brands, and promise mostly full size products, sometimes deluxe sample sizes. The last few boxes have been filled with products that I actually want to use, so I thought I could start back up if it’s something you want to see. Keep reading to check out what was inside the June 2017 Beauty Box 5 and let me know if you want to continue to watch/read unboxings and reviews monthly! You’ve all seen me use this product in the past, so it’s no surprise that I was happy receiving one in the box. Jesse’s Girl is sold in Rite Aid and on Amazon but continues to be underrated! This liner has a very fine felt tip for precise application and strong pigmentation that sets quickly. I received the shade Blue Hawaii, which is perfect for adding a pop of color this summer. 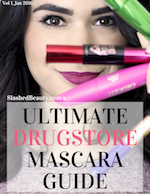 Another drugstore brand that can be a little hard to find, Prestige has been stepping up their game recently. This mascara has a fat, dense brush to pick up your lashes close to the roots and add a ton of volume sans clumping. I feel like I have more control with larger brushes, and the bristles coat each lash evenly. This is a great every day mascara that still adds drama, thickening and lengthening my stubby lashes. I don’t get any clumping or flaking, and it’s easy to layer. Best part: it’s affordable enough to repurchase again and again! I enjoy ribbon hair ties when I’m in a pinch, since they don’t pull at the hair or leave dents. This set comes with two complimentary ties, one decorated with a jeweled charm. They’re great to throw on your wrist for on-the-go, although the retail price seems a little high for only a couple hair ties. I wouldn’t repurchase myself, especially since I prefer coiled hair ties. This one lip pencil exceeds the cost of the box! I had never heard of the brand before, but was happy with how this pencil performed. The Bare shade is a pretty neutral pink that would look great on its own or to compliment a range of neutral to pink lipsticks. It’s pretty pigmented and applies easily with a matte finish. As I mentioned in the video, I’m almost positive I received this exact quad several years ago in an old Beauty Box 5. 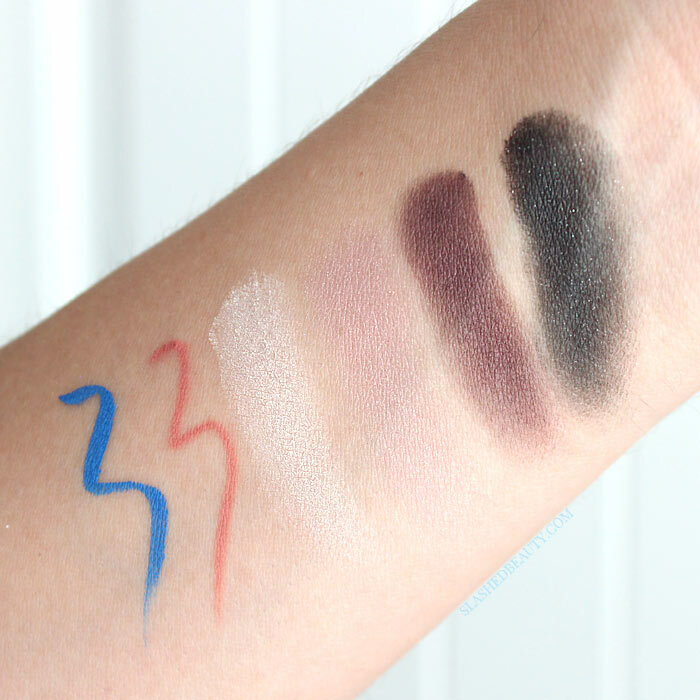 The Revealed 3 palette isn’t new— in fact I reviewed and swatched it here in 2015. I will say that the entire palette is a great one to have on hand if you like rosy and purple eyeshadows. The quad sample, though, is not something I can see myself using as the pans are inconveniently small and the packaging isn’t sturdy. At least they took the time to select four shades that work together to create a full look, if you really wanted to. This was the one sample I wasn’t too thrilled about. For $12, the June 2017 Beauty Box 5 definitely delivered. The total value of $39.99— not counting the eyeshadow quad— satisfies the requirement of getting bang for your buck. As I mention in the video, Beauty Box 5 tends to focus on color cosmetics which I feel makes it a more universal box as opposed to other subscriptions that try to send the same skin care item to everyone. I’m excited they’re sending them to me again, and am looking forward to what comes next. I hope you’ll enjoy what comes month after month! You can shop this box and subscribe on their website. Not a bad box, I’m curious about the mascara. It’s really nice for every day! Very separating and lengthening! BB5 has come such a long way! I like what you got. This was a FANTASTIC Month! WOW! I love everything! I cancelled all my sub boxes and now I kind of miss them! My favorite would be the lipliner but I really like Jesse’s Girl liquid eyeliners too. I think people would get their money’s worth from this box. Ohhh I love that lip pencil!